Quite often I hear from new users that SpeedGrade is not intuitive, difficult, and completely different from any other Adobe application. Curious but unaware people are quickly discouraged by its seemingly complicated and impenetrable interface. In some sense this is true, there are complex and dark places in SpeedGrade frequented only by those few who dare, but with each release, the software is becoming more and more similar to this company’s most famous application – the ubiquitous Photoshop. Before I elaborate on this, first let’s make sure that we’re all on the same page. The easiest way to learn SpeedGrade is by using it in the Direct Link mode – by sending or opening a Premiere Pro project in SpeedGrade. This way the interface and interaction are reduced only to the part where you are actually grading the footage (this is how film colorists refer to the process of color correction, don’t be mislead by the insider jargon). Therefore, if you want to experience what I’m writing here, I suggest that you simply put a few clips on a timeline in Premiere, and choose Direct Link to Adobe SpeedGrade from the File menu. All the complex stuff is now being handled by Premiere, and you can move directly to the fun part. See? They do look similar. Heck, there’s even an opacity slider for a selected layer on top! Each clip (picture) can have multiple adjustment layers applied to it, and it is always considered as the “Background” layer. Each layer has its own set of controls, which appear in the lower centre part of the screen. They are like the Properties panel in Photoshop. 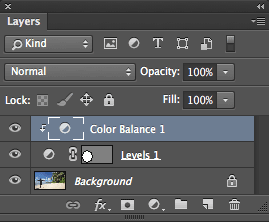 Properties panel for the Color Balance adjustment layer in Photoshop. Controls of the Primary correction layer in SpeedGrade. SpeedGrade Primary correction controls explained in terms of Photoshop Colour Balance and Levels. Hope it’s a bit clearer now, but let me elaborate. The left color wheel is the one which controls shadows (well, sort of, it’s more of an overall adjustment, but don’t get discouraged by this little difference), the middle one – midtones, and the right one – highlights. 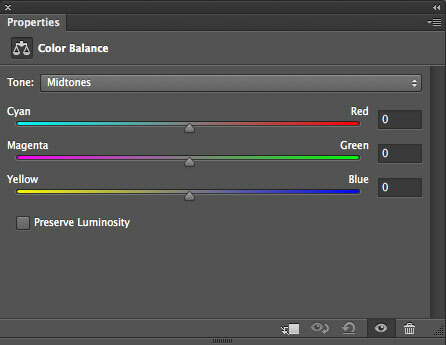 Instead of three sliders named Cyan-Red, Magenta-Green and Yellow-Blue, you have a circular 2D control which allows you to dial in a desired color to a desired luminance range. If you want more cyan, you drag the cursor toward cyan. More purple – drag towards purple. Simple? No more guessing which sliders to adjust in what combination to achieve the desired result! And you have three tonal ranges on screen at the same time – now that’s a great piece of UI design for you, isn’t it? The sliders next to each color wheel – remember the Input/Output White/Black and Gamma controls in the Levels adjustment layer? Here you have three sliders, each controlling the input (if lowered) or the output (if raised) value of shadows, highlights and gamma. Again, reducing the number of controls to a bare minimum, but at the same time making the adjustments quicker, easier, and more intuitive! And if you have a control surface, you can dial in several adjustments at the same time using as many fingers, as you can. I’ve seen an experienced colorist adjusting four at the same time. Brilliant. Of course, you can also dial in more saturation, increase or decrease contrast (that’s equivalent of simultaneously moving sliders for highlights and shadows), and adjust color on the temperature (that’s the “b” channel for you, Lab color space enthusiasts) or tint (the “a” channel) scales. All with the use of the sliders placed conveniently above the color wheels. This is what is called a “Primary Correction Layer” in SpeedGrade. 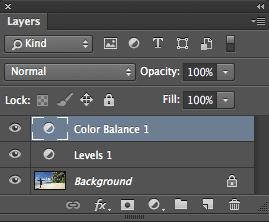 There’s even more to it (as witnessed by the four buttons on top of the layer), but the general principles are really, really simple to grasp if you have ever used Color Balance and Levels. And if you remember the command “Variations…” (dropped in Photoshop CC 2014, and not available on OS X in 64-bit versions though), then the color wheels setup should make even more sense to you, as you were effectively using this model to manipulate your image already. Variations command in Photoshop, sadly being phased out in CC 2014. Now let’s talk about limiting the correction that you make. Photoshop has masks. And SpeedGrade also has masks! To be fair, Photoshop users should rather think about vector masks when using SpeedGrade, rather than the typical bitmap masks, but hey, you know this drill! You can create a shape, and make your correction work only inside or outside it. Detailed explanation of the mask controls in SpeedGrade layer stack. Strangely, for some reason SpeedGrade designers decided to go with the opposite colors to denote which part of the image is affected (black as opposed to white), so be prepared for a few more clicks, as your old habits will most likely refuse to die, unless you give up on Photoshop altogether. But otherwise, there is nothing in SpeedGrade masks that is not present in Photoshop. You can even share the mask between the layers, which is equivalent to limiting the correction to the transparency of the layer below. Even the icon seems familiar. 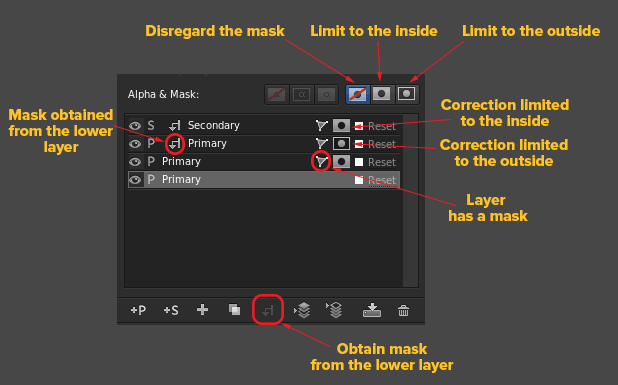 Oh, and did I mention that you can also limit the correction to the inverse of the mask? Now that’s a nifty feature request for Photoshop, isn’t it? 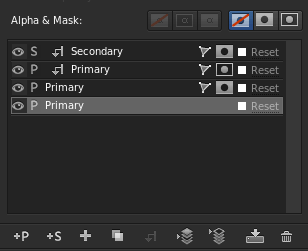 Masks in Photoshop layer stack. 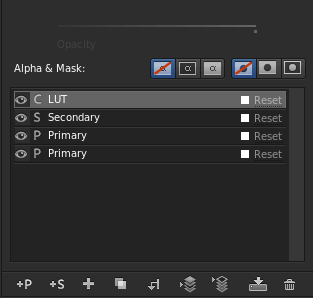 Masks in SpeedGrade layer stack. Before the outraged shouting begins, let me clearly state, that when you first open SpeedGrade, you will not see one of the most important elements that is often vital to proper color correction – you will not see your histogram! Doh! Those pesky colorists tend to rely on external scopes! Although I will tell you a secret – there are scopes in SpeedGrade as well. They are simply hidden very well, especially because there is no Window menu! Darn. Click on this inconspicuous button to unleash the full power of SpeedGrade. But not all is lost. Hit “A” on the keyboard – not too hard though, your keyboard is not guilty of your frustration – or click on the triangle in the upper left part of the screen. Whooosh – enter analysis tools. You will most likely see four scopes on screen – Histogram, with which you are most likely intimately familiar, Vectorscope (the round one) to assess hue and saturation of the image, RGB Parade (three consecutive kind of vertical histograms) to assess spatial distribution of the luminance in each channel, and Waveform, to assess the general luminance. 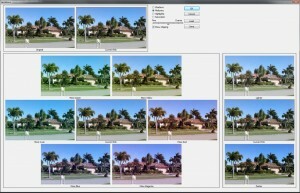 Photoshop has only a single scope – Histogram. 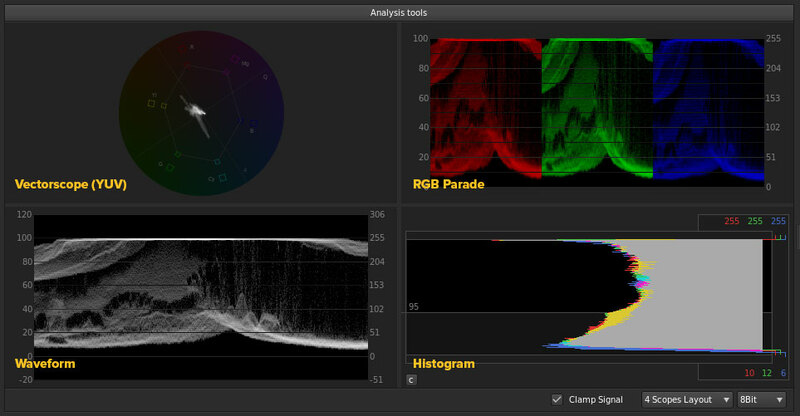 SpeedGrade has full Swedish buffet of image analysis tools. You can adjust the layout as you see fit, leaving only 2 or even a single scope on screen. Chances are, you will want to start with what you are the most familiar with – the Histogram. Know though, that RGB Parade will replace it as soon as you learn how it works, since it contains also spatial distribution of values, not only tonal. Again, more information using less space. Ain’t SpeedGrade beautiful? The other most useful scope will be Vectorscope, which will show you not only how saturated the image is (the farther from the center, the more color), but also will allow you to immediatelly identify the color cast in the image, and easily adjust it – because the color wheels and Vectorscope are based on the same principle. You just drag the lump of pixels to the centre to neutralise unwanted colors. It will also allow you to assess the skin tones, as one of the diagonal lines coincides with the hue of the skin of most human beings. Honestly, once you learn how these two scopes work, you will start to wonder, how you have survived so many years in Photoshop without them. Before this realization dissipates, quickly write a feature request to Adobe to implement Vectorscope and RGB Parade in your favorite application. As you can see, the SpeedGrade is not really such a different animal, and thanks to the joys of Direct Link, it’s not as complicated as it used to be some time ago. You can easily jump in and immediately start having fun with it. Who knows, maybe you’ll even decide that you want to correct your stills in SpeedGrade, not in Photoshop. And I’ll show you how to set it up in an incoming tutorial – most likely right after IBC. Today just give SpeedGrade a try. You won’t be disappointed. Tagged Adobe, Photoshop, SpeedGrade, tips. Bookmark the permalink. Personally I like the Speed Grade feature, we use it on some of our projects. It gives you a lot of control over adjustments. I am learning more and more about speedgrade, one tip, offset doesn’t changes blacks, it changes the entire range, once you have that clear it starts making more sense to use with gamma and gain. Yes, it’s offset-gamma-gain instead of lift-gamma-gain model. Speedgrade is a VIDEO editing application, NOT a photo-editing application! It’s awful to use and it’s implementation of curves is the worst I have ever seen. Furthermore, it’s too dark and difficult to adjust or use. And here’s the ugly truth: no employed editor I know will touch it. Photoshop does not equal good video editing. SpeedGrade is not an editing application, Premiere Pro is. 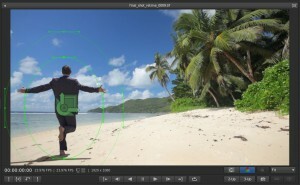 It is a grading application – you use it to color-correct your footage. I’m certain if you took time to familiarize yourself with the toolset, you would not miss the curves that much, and would start noticing how Photoshop could actually benefit from implementing some of its features. But for anyone from the stills world it is indeed a steep learning curve.